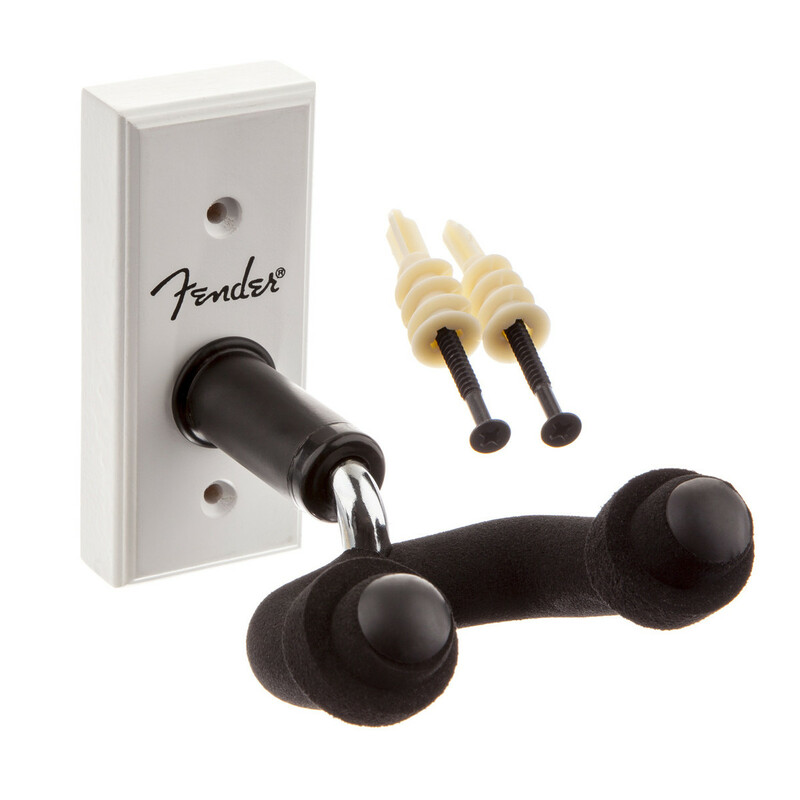 The Fender Wall Hanger allows you to display your guitar without cluttering your floor space. This simple and elegant guitar hanger features an unobtrusive design, finished in a stylish white. The durable steel yolk has foam padding to protect your guitar, accepts most wide to narrow headstocks and pivots to ensure instrument security. All necessary mounting hardware and fittings are included so installation is quick and easy. Turn your guitars into showpieces with the Fender Wall Hanger.